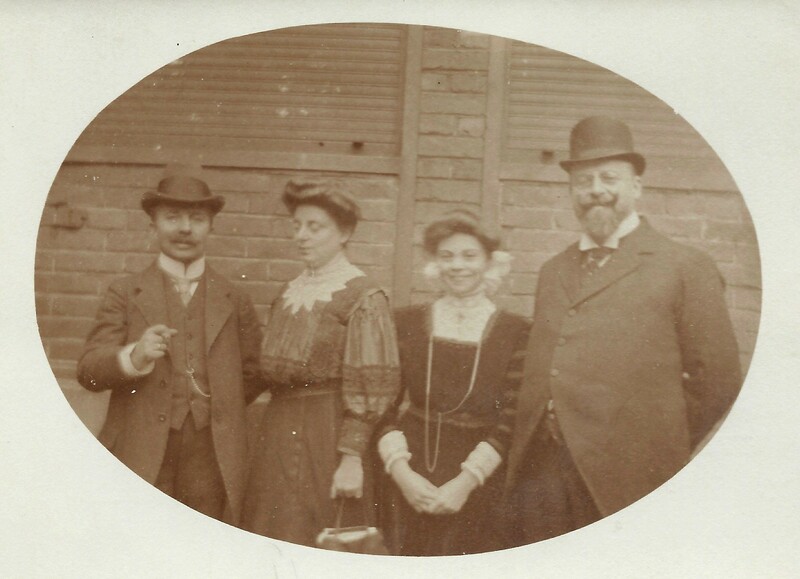 For those who have not read the first installment of Lotte’s story, a brief recap: Lotte grew up in Mannheim, Germany, with her parents, Joseph and Aennie (Winter) Wiener and her older sister Doris. 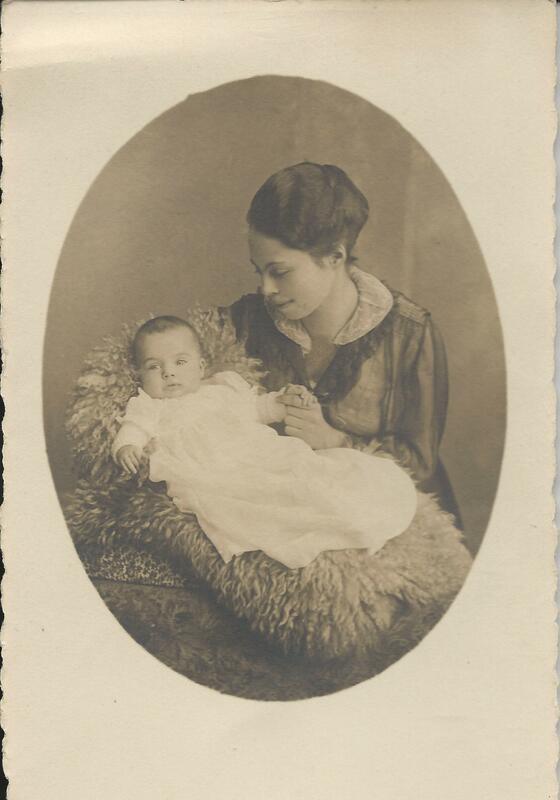 Her father Joseph was a doctor in Mannheim, and her family was living a comfortable life there. Lotte was an excellent student and was enjoying a good life until the Nazis came to power in 1933. It was a foregone conclusion that I spent most of my Christmas and Easter and also a couple of summer vacations at my grandparents’ house. I never was asked whether I wanted to go there. If so, the answer would have been “yes”. I liked them. They lived in Neunkirchen in the Saarland, an area of coal mining and steel production administered by the League of Nations at that time. 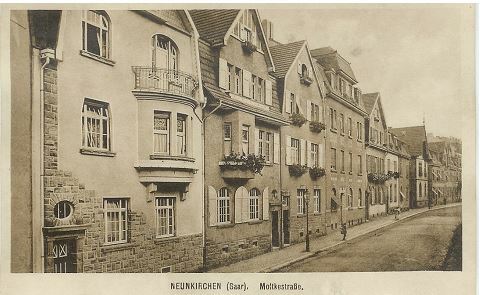 Their three-story attached row house was at Moltkestrasse 23, a nice residential neighborhood. A buzzer would open the front door after which another door with a glass panel opened to a short corridor. To the right on the first floor, called parterre, there was a fairly large carpeted and well-furnished salon and a quite formal dining room. Both rooms were dark and hardly ever used. The smelled a bit dank and musty. But to the left of the dining room a glass-beaded curtain opened to a long, enclosed, bright veranda where my grandmother kept a number of house plants including some she called amaryllis, her pride and joy. And yes, there was a rope-operated dumb-waiter from the kitchen above to the dining room. I used to love pulling those ropes and playing with it. A toilet with a small hand basin and a spindle full of squares of cut newspaper, hardly to be called toilet tissue, was located half-way up the stairway to the middle floor, the actual living quarters. The living room was fairly bright and not anywhere as elegant as the downstairs salon. The main attraction were my grandfather’s rocking chair and the blue and white KKL (Jewish National Fund) box filled with a number of coins. I liked to manipulate them out with a knitting needle. Of course I replaced them immediately. 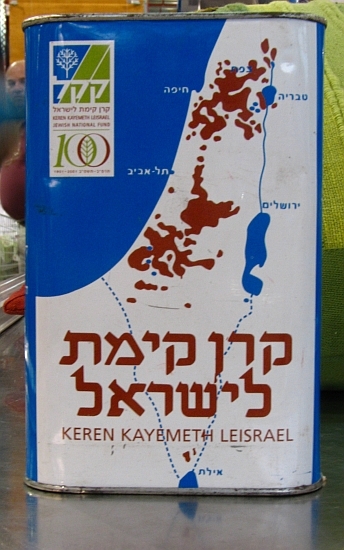 I knew the money was for a far-away country called Palestine. Next to the living room was the fairly spacious master bedroom, dark and gloomy and actually taboo for me. But the bathroom was bright and big and quite an attraction for me because I could come in while my grandfather was still brushing his teeth and whistling while doing so. He used to announce that he was the only person with that capacity because he had false teeth. Oh, and of course the kitchen was on that floor but I did not spend much time in it and don’t remember the details, except that it opened up to a balcony where we would sometimes eat. On those occasions we had to constantly wipe off the ever-present soot that came from the coal mines. The landing half-way up to the third floor featured an ice box. Not much food was stored in it. Certainly nothing kept there tasted fresh. We had to watch out for the sound of drip-drip-dripping water which meant the molten ice had filled the basin below it almost to capacity. I slept in the first of the three bedrooms on the third floor, up a creaky stairway. It was pretty dark too with a large bed and a dresser. It also smelled pretty musty and the bed springs were making all kinds of noises. A large limp rag doll with a porcelain head and eyes that would open and close greeted me on the bed. It was the ugliest thing I can remember, but my grandmother thought I would like to play with it since it had been my mother’s. I hated it and tucked it away in a drawer very quickly. Early in the morning I could hear the crowing of roosters. Kickeri-kee they went. Kickeri-kee. On Sunday mornings that sound was joined by the ringing of several church bells. After all, Neunkirchen means nine churches. It did not wake me since I was not asleep any more but had to stay upstairs until I could get into the bathroom. On the way downstairs I was greeted by the aroma of freshly brewed coffee. Two more rooms were located on that floor. One was a large storage room, mostly unused. The other was the former bedroom of my uncle, my mother’s brother, who was killed early in World War I. I was not allowed to enter that room. Probably it was locked. I believe it was kept exactly the way my uncle had left it. My grandparents never talked about it but never got over it. My grandmother only wore black or grey clothes. Of course the house also featured a basement. There were at least two parts to it, one a coal cellar, unpleasant with a dusty smell all of its own, and a fruit cellar. That was a delightful place. I loved to go downstairs and inhale the aroma of apples, yeast cakes, apple pies and other goodies which were stored in the cool basement room. The house really was quite gloomy and I probably was bored during my visits. But I never felt unhappy there. That was the way it was. And my grandparents certainly loved my visits and I loved them for it. Her writing is so vivid that I can easily picture this large and dark house that she visited as a small child. It’s incredible to me how clearly she remembers this house and these visits. He was a good-looking man. Portly and erect. He had a rosy complexion, a well cared-for short white beard, short white hair surrounding his mostly bold pate, an aquiline nose. Portly, I said. His belly protruded just enough to display a heavy golden watch on a chain. 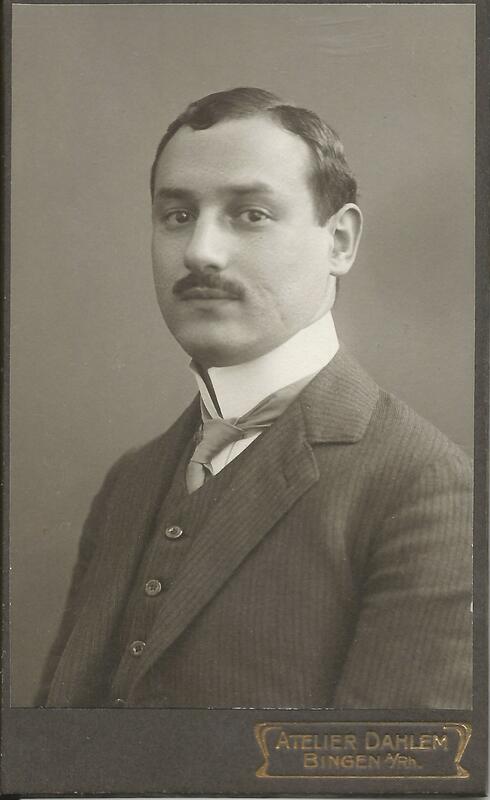 That was Onkel Jakob, my grandmother’s brother and thus my mother’s uncle. He was my grandfather’s business partner. He was very fastidious. His shoes were always shined and a crisp handkerchief was tucked in his left upper coat pocket. He spoke clearly and slowly in a baritone voice. He showed up at the office at exactly the same time every day. On Sundays at 10 o’clock he walked to the train station, about 20 minutes from where he lived, in order to check the correct time and reset his watch if necessary. He wanted to make sure his gold watch, so prominently displayed on his belly, was correct. Once the watch was set, he might pick me up at my grandparent’s house in Neunkirchen. He took me and perhaps my sister too for a walk in the nearby woods, right behind my grandparent’s store. Sometimes Herr Eisenbeis, the owner of the building, would join us. He was a hunter and carried a long rifle. He actually was looking for deer in the birch woods. I never saw him shooting any but I did see a number of deer. Herr Eisenbeis was stocky and short. He was dressed in a green hunter’s outfit. He spoke in staccato sentences and was very abrupt and very Prussian. I did not like him very much. But back to Onkel Jakob. I did like him and I also liked Tante Anna, his wife, who was quite beautiful and a wonderful cook. She served different kinds of food from those my grandmother made because she was not Jewish and was born in Hamburg in northern Germany. She had a brother in Kalamazoo. I remember because that name sounded very funny. Onkel Jakob’s life seemed to be run strictly by the rules. He was pedantic, to say the least. But something went utterly against those rules. He never brought Tante Anna to my grandparent’s house. Somehow I found out that she was not welcome there because she was a shikse and because she had been Onkel Jakob’s housekeeper for many years and that they had only recently been married. It was not fair. She was a good woman who went with Onkel Jakob when he had to leave Neunkirchen to move to Luxembourg during the Hitler years. 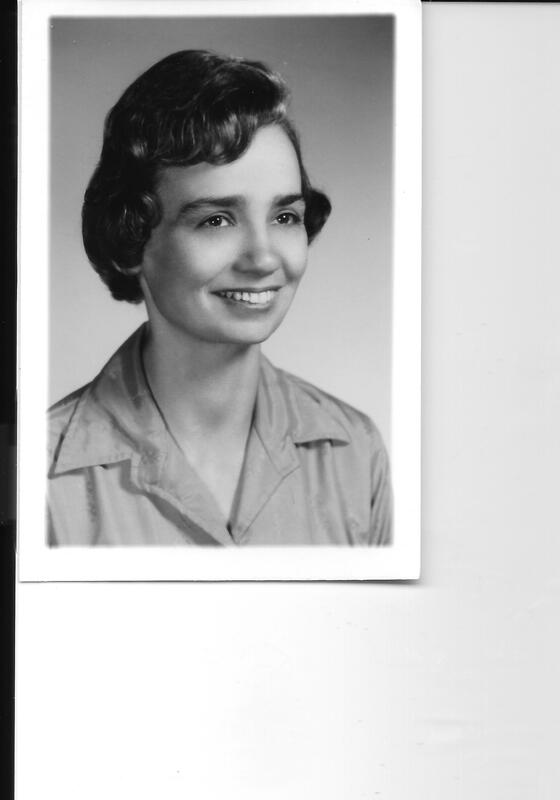 She was the one who kept in touch with my mother as long as she could after World War II broke out. Through her we learned that my grandmother collapsed on the doorsteps and died when the Nazis marched in. 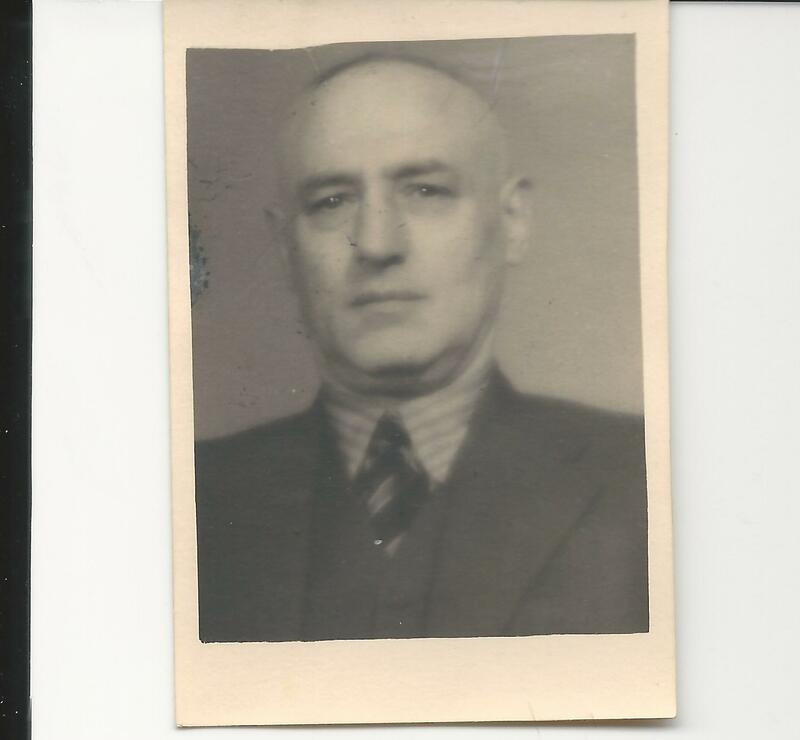 That my grandfather had been deported. And that Onkel Jakob had died before the same fate could happen to him. 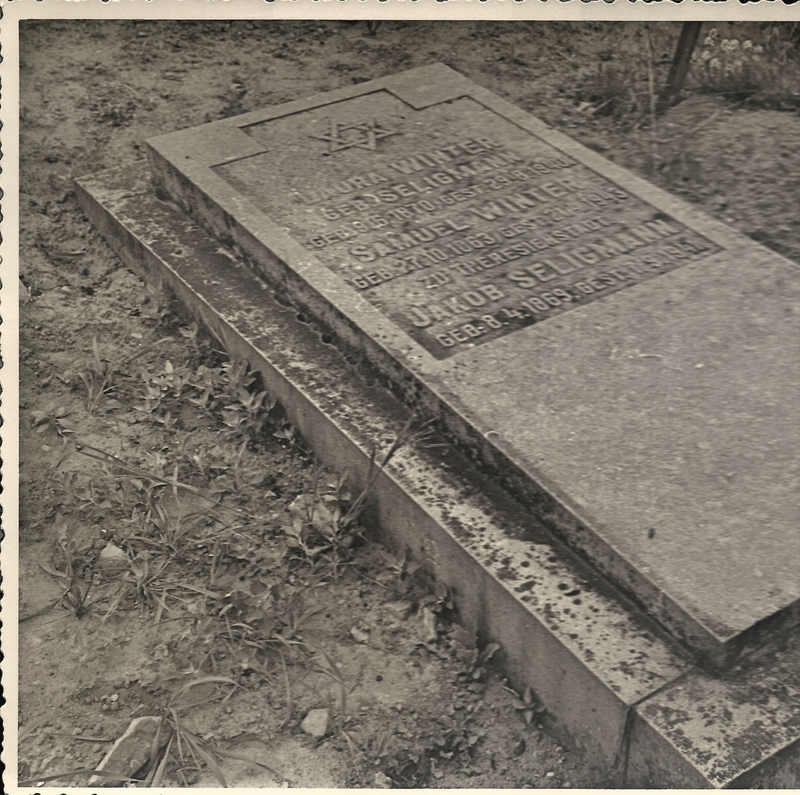 That both he and my grandmother were buried in the Jewish cemetery in Luxembourg for which she supplied the address. She finally moved back to Hamburg where she had some family. After that we did not hear from her again. I remember Onkel Jakob as a very pedantic man. 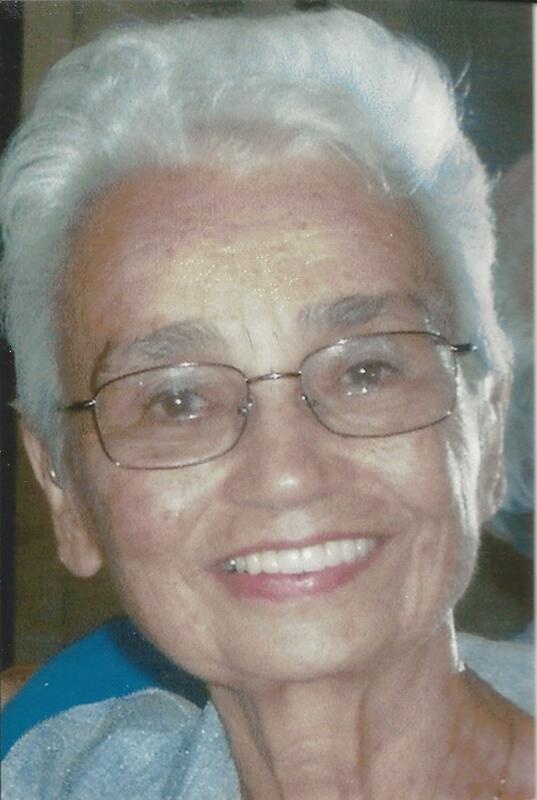 But along with him I also remember Tante Anna who was a kind and good woman. As she wrote in Part II of her story, her grandparents and her great-uncle all moved to Luxembourg around 1935 to escape the Nazis. They were, however, unable to come to the United States when Lotte and her parents left in 1939, and all three died during the Holocaust. There is a memorial stone for the three of them in Luxembourg. 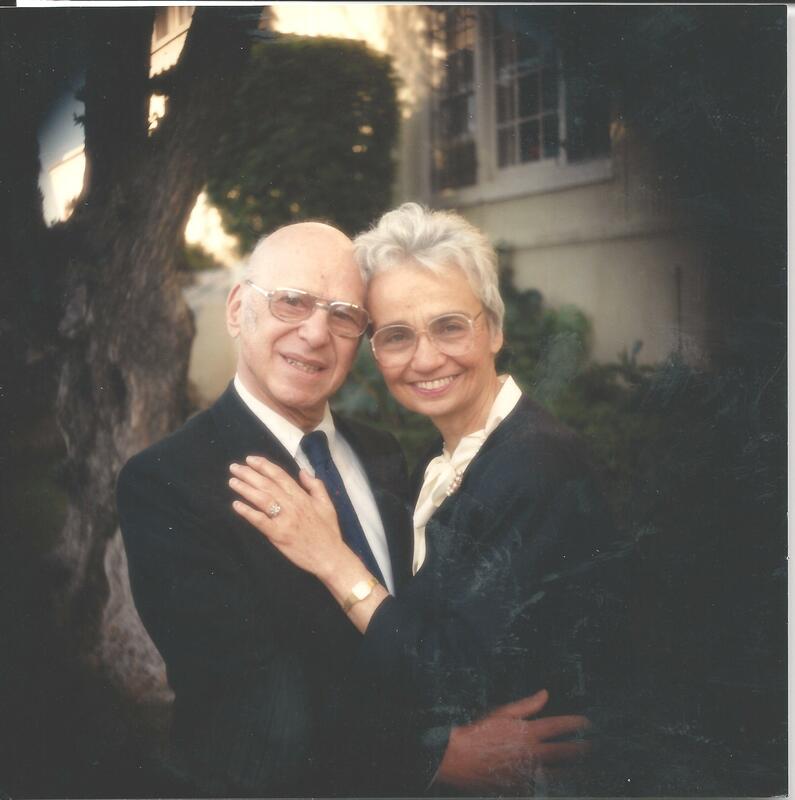 Fortunately, Lotte, her sister, and her parents were able to move first from Germany to Luxembourg and then to the United States in 1939 where Lotte successfully completed nursing school. Imagine having to learn a new language, having to take difficult tests in it, living in a completely new environment and under completely different circumstances, and making the best of it, all at the age of 56 which was considered “getting there” agewise at the time? That’s what happened to my father. Under duress he had to give up his medical practice in Germany. Other than his native German he knew a little French and of course had studied Latin and Greek in highschool. In Luxembourg where we lived for a year he had no way of working in his profession. Knowing that it was just an interim stop he began to study English. “1000 Words of English” was his first textbook. It was over-simplified and actually quite hilarious. “Do you like this girl?” was the beginning of one of the dialogues. “I not only like her, I love her” it went on. “She has millions of dollars”. That kind of thing really was not adequate , but he learned. My mother who did speak English fairly well taught him some more. And then we left for America. He felt very strange but he knew he had to make the best of it. He learned that he would have to take the New York State Boards in order to practice medicine. Anatomy, physiology, pharmacology, psychology, the whole works. He plowed right into it. The English language came “as you go” so to speak. He might have taken a course or two, I don’t quite remember. His pronunciation was not great, but then neither was mine. Meanwhile I started nursing school. Since I had a few of the same courses, though in drastically abridged form, I helped him some whenever I had a chance to get home. He really worked hard at it. He also found time to play the stock market, thanks to two very good advisors whom he knew from before. Whatever little money my parents had managed to smuggle or take out of Germany needed to be augmented in order provide for a decent living. He had no illusions about the income from his medical practice, whenever that would materialize. But the war had started, the market was going up, and as I said, he had some very good advisors who went for safety and not for speculation. After studying for almost two years my father applied for the State Boards. Miraculously he passed almost all of the difficult courses. All except one in a course called “Hygiene”. The Board, consisting of physicians eager to keep out the new competition g by German immigrants, could not in good conscience let him pass. So he had to take a refresher course and an additional exam, fortunately just in the one subject. Now he would be able to hang out his shingle. My parents moved from apartment B61, on the sixth floor of the Park Chateau building at 8409 Talbot Street, Kew Gardens, to a spacious five-room one on the ground floor in the A building. My sister, her husband and their little girl, who had been sharing the upstairs apartment with my parents, moved to their own place a convenient distance away. My father bought second-hand equipment for his office. He posted a sign reading “Joseph Wiener, M.D. Physician” or something like that at the front of the building. I must explain that it was and probably still is quite customary for New York physicians to practice out of their living accommodations. No need to rent a special office space. I remember the “Field of Dreams” movie with the theme “when you build it, they will come”. Well my father opened his office and a few patients came. Not too many, but at least it was a start. By now he was 58 or 59 years old and not too anxious to establish a large practice. He definitely did not to drive a car any more. His clients would have to live in walking distance. That worked out just fine. The neighborhood with its small homes and working-class occupants which started right behind the Park Chateau building turned out to be just what he needed. They did not come in droves. Just enough to keep him happily satisfied. He charged $3.00 for an office visit. Sometimes he did not charge anything. He made house calls by walking there. He joined the local AMA chapter and enjoyed going to their meetings. I suppose he was glad to get away from home once in a while. He also looked forward to what they called “collation” on the invitations. It took a while to figure out that meant refreshments. For several summers he worked as the physician at a summer camp in the Catskills. The kids and also heir parents loved him and respected him. He had a great time there. But then his health gave out. His arteriosclerotic heart grew weary. It took a few years before it went into failure. A few critical episodes followed. And yet he was determined to face this fact. Released after an early April stay in an oxygen tent at the local hospital, he proceeded to file his income tax. He knew his house was in order. He knew my mother was well provided for. And then he went to sleep. No longer did he have to face any difficulties. You can see the sadness in Joseph’s eyes (as well as his strength) in this later photograph as compared to the one above that was taken in the pre-Hitler era. It is obvious. The moment I open my mouth, people recognize my accent. “Charming”, they may say. “Annoying”, it seems to me. I can’t hear it myself, except when I listen to my own phone message. “That’s me?” It sure does not sound like it. It sounds like a stranger. Whether I like it or not, German is my mother tongue. That’s what I spoke exclusively until I was seventeen. That’s what my schooling and much of my thinking are based on. That’s what influenced my formative years. But that’s not what I spoke for many years. After all, I left Germany under the pressure of the Hitler years. When I left, I was sure I would never look back, never return again and never want to be involved with anything German. I had to start a new life. And when I met my husband who was from Vienna which after all is not Germany, we hardly ever spoke German. It was during the war, and the language was not welcome. Besides, in Austria they use a number of different terms for everyday common things, and we would begin to argue who was right. So we dropped it and just spoke English. Learning English was not difficult for me. For a while I took English as an elective in high school.At age sixteen I took some private lessons at a Berlitz School where you are immersed in the foreign language. My courses included conversation, shorthand and commercial correspondence. With my German and a strong background in French it came easily. The study of Latin and Greek was very handy to understand grammar and vocabulary. But the pronunciation! German is a phonetic language while English is not. That caused – and causes – some trouble. While I pride myself in being completely fluent in English, I still may pronounce certain words the way I think they should be pronounced, the way I can sound them out. That is especially true with proper names many of which have been anglicized, for no good reason so it seems. Why for example should Verdi be pronounced “Voedy” when in Italian it is VERDI, or “Aphrodite” sound like “Aphrodaite” while the I in Greek is just that: “EE”? Well, so much for that. I do think and figure almost exclusively in English. But sometimes an old German adage creeps in. And oh how many such words can be found in that language. There is a saying of wisdom for just about everything. And certain words simply cannot be translated – they are idiomatic. Just like the Yiddish schlemiel, or chutzpah. There is no English word for that. I can still converse fairly fluently in my erstwhile mother tongue. People who did not know about my background would comment that for an American I spoke very good German. Little did they know. But when it comes to writing it becomes more difficult. For many years I had a lively correspondence with one of my high school friends who did not speak English. Often I would have to beat around the bush, so to speak, and find some alternate, perhaps awkward way to describe what I wanted to say. And reading German books or communications. Those convoluted intertwined interminably long sentences. English is much more direct. Somehow I cannot think of English as being my mother tongue. It is not, although it is what I use almost exclusively. Somewhere, deep in the crevices of my brain my German background prevails. Sometimes it comes to the fore. After all, that is my mother tongue. There is no question that Lotte has mastered the English language; very few of us for whom English is our mother tongue can express ourselves as well as she does in her adopted language. Once again, I was and continue to be struck by how determined and how positive Lotte was as a young woman and how she has remained so to this day. These more recent photographs of her show her indomitable spirit in her smile and in the light in her eyes. 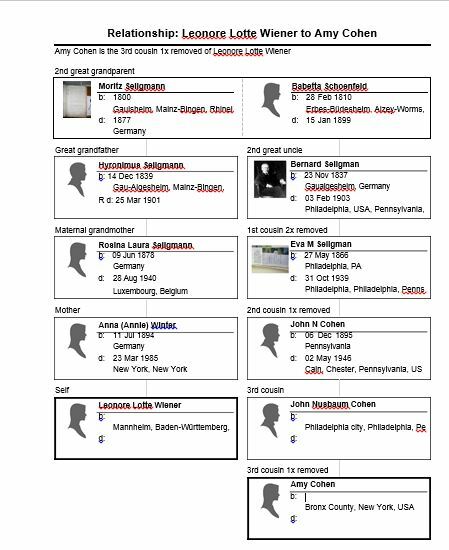 This entry was posted in Genealogy and tagged Germany, holocaust, Luxembourg, Mannheim, Nazi Germany, Neunkirchen by Amy. Bookmark the permalink. Lovely stories and so interestingly written! Kalamazoo! I am so happy that I found Lotte. She’s remarkable! Wouldn’t it be amazing if we could figure out who Anna’s brother in Kalamazoo was? I can’t imagine that Lotte would know her maiden name.